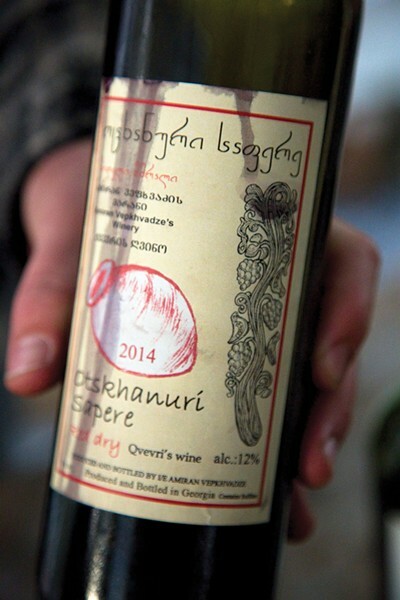 A bottle of Amiran Vepkhvadze’s Otskhanuri Sapere (an ancient variety indigenous to Georgia) which is fermented in Qvevri, or large terracotta amphoras. Winemaking may have originated in Georgia over 8,000 years ago. Manhattan food and wine trends tend to travel up the Hudson at a canoe's pace—slow yet steady. 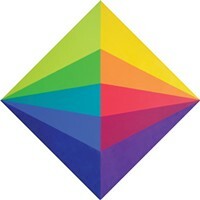 While this allows time for less-appealing fads to fade before occupying space on local menus (sushi burritos, anyone? ), it otherwise makes us overdue to adopt enduring vogues, like natural wine. Enter Peripheral, a natural wine festival to pair you with your new favorite libation on November 3 from 1 to 5pm at Backbar in Hudson. Peripheral brings esteemed natural wines from around the world for an afternoon of tasting, sharing, music, and fun. Guests can enjoy natural wines from France, Italy, Germany, Austria, Spain, and the US (California, New York), while hearing local live music and tasting fare provided by regional restaurants. Hudson Wine Merchants will be on-hand so that attendees can order wines they enjoy at the fest. "Peripheral was created as a way to help build the natural wine culture in the Hudson Valley," says festival founder Zak Pelaccio, executive chef and partner at Fish & Game and Backbar. "What we're doing with Peripheral is really about turning our colleagues, friends, and contemporaries on to like-minded, talented people making great wine all over the world." Not to be confused with organic or biodynamic wines (although natural can encompass one, or both, as well), natural wines harken back to Old World vinification—grapes farm-grown without pesticides, chemicals, colorings, or other additives. "How I understand natural wine, when I discuss it with my friends and colleagues, is as a farmed product, something where the most work done is in the vineyard," Pelaccio says. "Grapevines planted, grown, pruned, and cared for, without the use—or gratuitous overuse—of pesticides or chemicals that are designed to eliminate some of the natural phenomena that inhibit maximum yields. What we find is many of the growers who opt out of chemically enhanced pest prevention seem to share a similar philosophy regarding the ecosystems that exist among the vines." A large draw for natural wine aficionados is the rebellious nature of both the winemaking process and the culture surrounding it. When describing natural wines, tasters often use words like energetic, emotional, surprising, rowdy, or unpredictable. It's easier to drink; you can certainly enjoy a glass with cheese and charcuterie, but it's common, acceptable, and often delicious with artisanal pizza or rich comfort foods. Without additives, natural wine tastes can vary per bottle and per terroir. For instance, while too much brettanomyces (a type of wild yeast) can spoil a wine, just the right amount can provide a mousy, barnyard flavor. Similarly, excessive volatile acidity can cause your kitchen sink to reek of vinegar as you pour a tainted bottle down the drain; however, some naturals dance on the ledge of acidity for a complex balsamic flavor that comes with lower doses. historically made wine, and is what the natural wine world is evangelizing today." 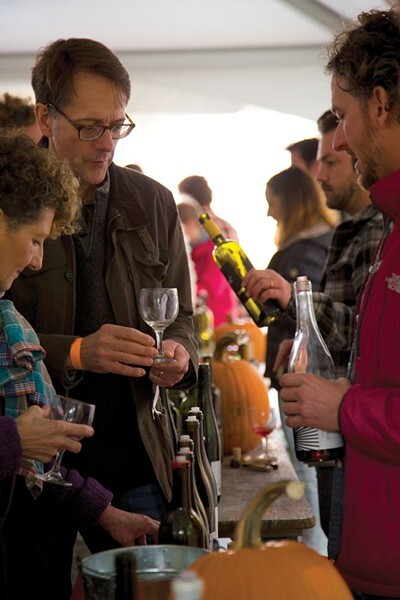 Peripheral Wine Festival takes place at Backbar in Hudson on Saturday, November 3, from 1 to 5 pm. $35-45. For a warm up, the night before, Friday, November 2, BackBar will host Georgian Supra: A Peripheral Pre-Party Dinner, with a tasting menu of Georgian-style grilled foods and copious amounts of natural wine.